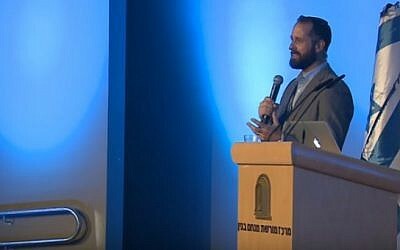 Some 150 evangelical Christians and Jews gathered in Jerusalem on Wednesday in a highly unusual interfaith conference on right-wing Temple Mount activism that aimed to dispel what its organizers described as an insidious, viral “hoax” taking hold in the Christian world — that the two historical Jewish temples had never been located on the iconic, holy, politically explosive compound. The location and timing of Wednesday’s Temple Mount Jerusalem Convention were symbolic. Under tight security, participants gathered at the Menachem Begin Center in the capital, where four years ago Temple Mount activist Yehudah Glick (now a Knesset member) was shot multiple times by a Palestinian terrorist in an assassination attempt over his advocacy for Jewish prayer at the holy site. 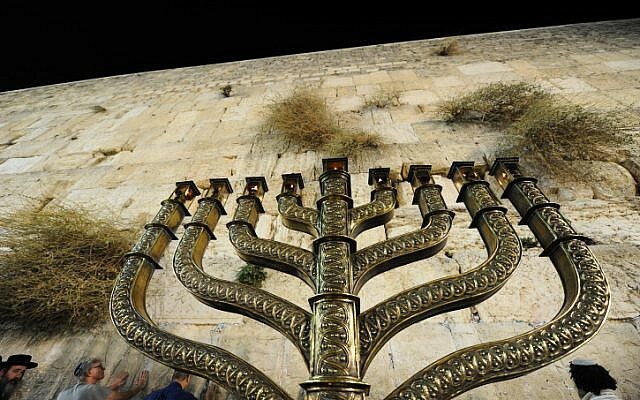 And its hosting on the Temple-centric Jewish holiday of Hanukkah — commemorating the Jewish revolt against the Seleucid empire by the Maccabees and restoration of the ransacked Temple and miracle of its oil-burning for eight days — was not lost on the speakers. Nor did the convention’s organizers attempt to disguise its primary and controversial political aims: to drum up international Christian support for Jewish control of the flashpoint holy site, which remains under Jordanian custodianship since the 1967 Six Day War, and where Jews may visit, but not pray. Though many of the lecturers called for the rebuilding of a third temple, the organization insisted it had no such aspirations. “Listen, it was evangelicals who helped usher in the move of the embassy to Jerusalem with President Donald Trump. 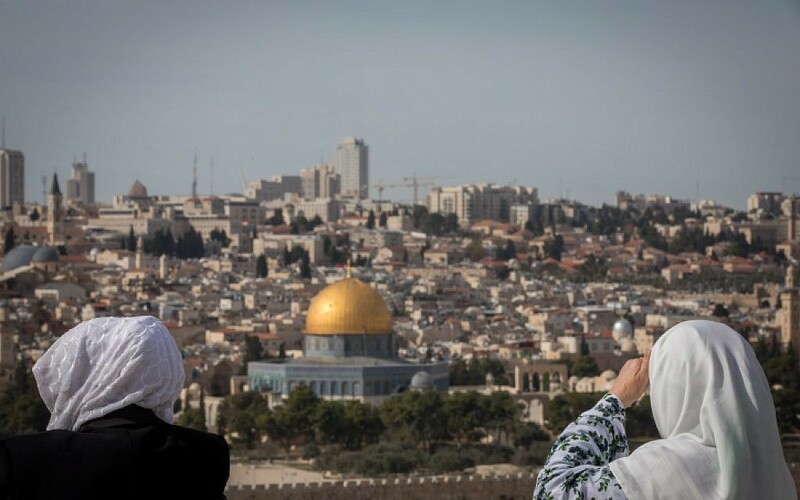 Imagine if Christian evangelicals understood the importance of the Temple Mount and pushed for Jewish sovereignty of the Temple Mount,” said Doron Keider, the executive director of the Cry for Zion organization behind the conference. 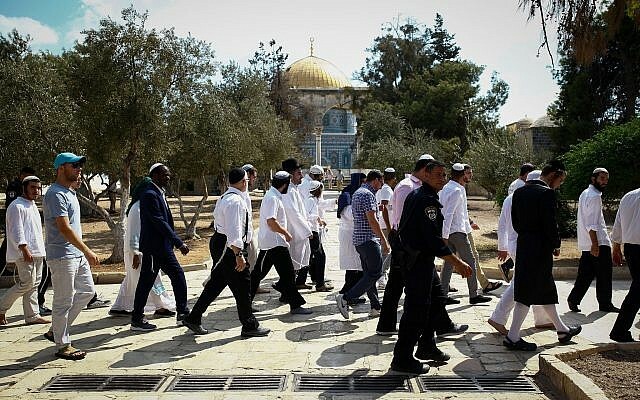 The Temple Mount — site of the Biblical Jewish temples, and which houses the Al-Aqsa Mosque and Dome of the Rock shrine — has often been the epicenter of tensions between Israel and the Palestinians as the holiest site in Judaism and third-holiest site in Islam. Multiple flare-ups in car-rammings, stabbings and shootings in recent years were attributed by the Palestinian terrorists and attackers to a perceived attempt by Israel to change the status quo at the site. The Israeli government has firmly and repeatedly denied it will change the 50-year-old arrangements. “There are many Christians who believe the Bible, that there will be a future temple. How that comes about is all in God’s hands. We are not some sort of extremist organization wanting to destroy any buildings or anything like that,” said John Enarson, the organization’s Christian relations director and student at the Scandinavian School of Theology. In recent years, there has been an uptick in visits by Jewish worshipers to the holy site, and, according to the conference organizers, a flurry of interest by Christians, primarily evangelicals, since 2013, though they could not offer precise figures on visits to the site by Christian supporters. But for many, the draw is not any sort of political activism, but rather various “conspiracy theories,” Keidar admitted. “There’s an awakening of interest in the Christian world, but unfortunately it’s more in the direction of conspiracy theory, you know, the Indiana Jones ‘I’m going to find the treasure and I’m going to be the one who does it,'” Keidar told reporters on Wednesday. A third temple in… Silwan? 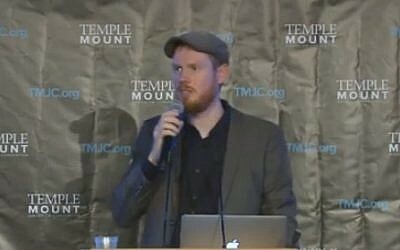 The crux of a “hoax” addressed during the conference is a long discredited theory by Ernest L Martin — recently revived in books, articles and viral YouTube videos with millions of combined views — that claims the Jewish temples never stood on the Temple Mount, but rather in the nearby City of David in the East Jerusalem Silwan neighborhood, despite an abundance of archaeological and textual evidence to the contrary. For proponents of the theory, it provides a “solution” to the apparently irreconcilable claims to the compound by Muslims and Jews. “I think for Bible-believing Christians, it’s interesting to them that maybe it would not conflict with Muslim holy sites, but I think that’s obviously immature,” said Enarson, a Sweden-born evangelical Christian. He also suggested the allure of the theory could stem from deep-rooted Christian supersessionist views of Judaism. “There’s been thousands of years, almost 2,000 years, of Christian anti-Semitism, of replacement theology that subconsciously, I think, with many Christians it lends it easier to have this idea of ‘oh, the Jewish people missed it. They’re wrong again. And now we found something out that they don’t know.’ So you have articles appear, like ‘Wailing at the wrong wall’ and things like that,” he said. 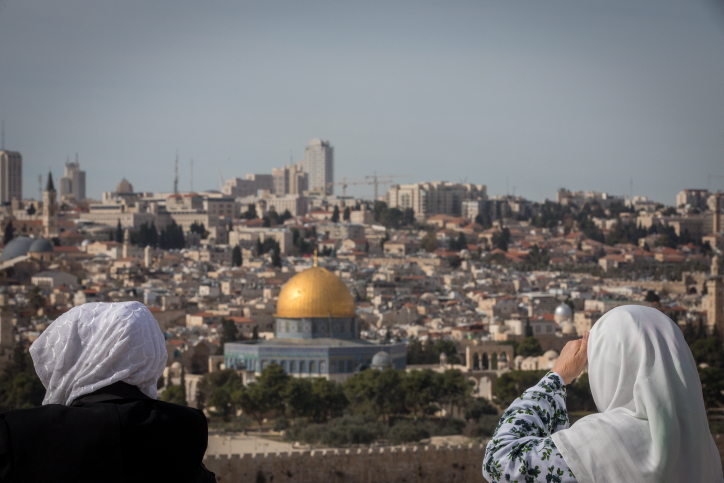 Will pro-Israel evangelical Christians offer a tailwind to right-wing activism over the holy site? Though Wednesday’s event appeared unprecedented in terms of evangelical interest in the issue, the Cry for Zion organization has limited reach on social media (with only several thousand likes), and the Israeli government has firmly rejected any notion of changing the status quo. And despite what conference organizers describe as an “awakening” that has seen more Christians visit the compound since 2013 (Why is that? “I really don’t know,” said Enarson), there is still a theological “schism” over the issue.